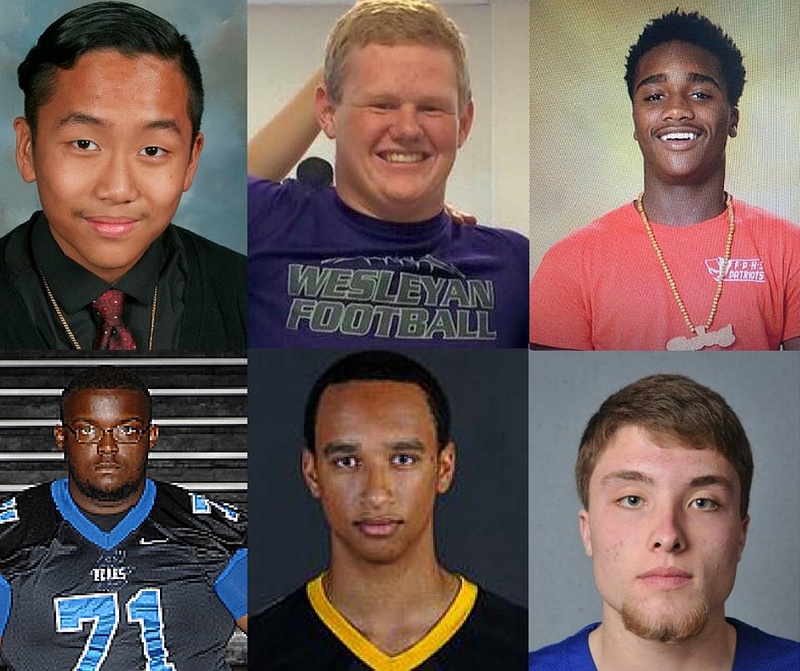 We mourn the loss of the 19th player to suddenly die this season from injuries in football. To say better sports safety is necessary in High School sports is an understatement. The situation escalated past conversation and into the time of action. The coaches and players absolutely must commit to safety. No game, no matter how passionate you are about it, is worth dying for. One of the football players was Cam'ron Matthews from Alto, Texas who suddently died during a game. Media outlets reported that Matthews suffered from a seizure after complaining about feeling ligh headed to his teammates. He passed away shortly after being rushed to the hospital. His death is among 13 other players this season. Before Matthews, there was 17-year-old Kenney Bui who died from brain trauma after being injured during a football game. Before him, Tyrell Cameron, who died after he broke his neck during a punt return. Before them: Roddrick Williams, Evan Murray and Ben Hamm. All of these deaths are results of football injuries and carry with them the devastating reality of a child whose life ended too soon. A child, who will be truly missed by parents, coaches, teammates and friends. With almost all of these deaths directly relating to head injuries and concussions, school districts are rethinking how they address safety in the dangerous sport. Camdon Hills Regional High School even decided to take executive action and shut down their football program after several of their players were injured in one game. The main contributor to this problem is the lack of medical personnel on the field. It's important to have health professionals who are dedicated to the safety and health of players to make an accurate call of whether or not a player should sit out a game, or even further, go to the hospital. Yet, according to the Journal of Athletic Training, only 37% of the nation's public high schools are fortunate enough to have athletic trainers on the sidelines. Football coaches are often tasked with the responsibility of recognizing and responding to an injury. 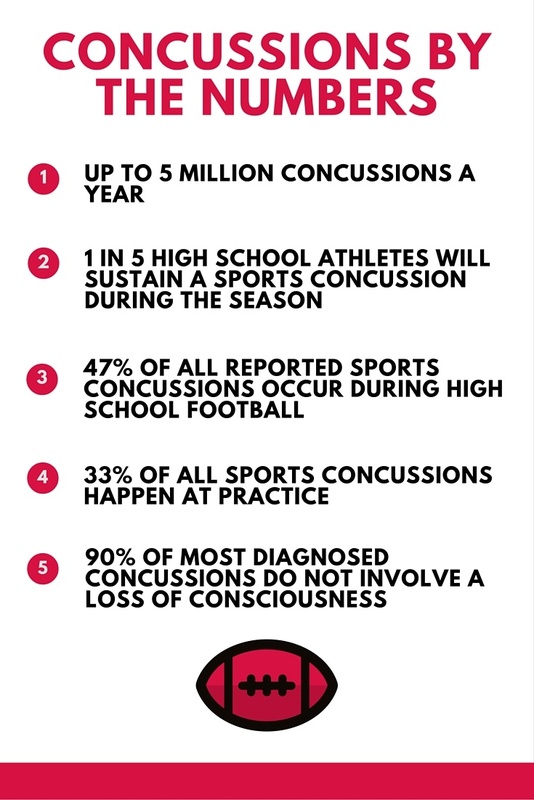 Many concussions go under reported if the coach's eyes aren't peeled to every player at every moment of the game or practice, especially if a player doesn't want to sit out a game. Another challenge is getting players to report when they are experiencing symptoms of an injury. This is a challenge for many teams because players don't want to sit out on an important game. They would rather play through the symptoms without realizing the long term damage it does to their developing brains. According to the Journal of Sports Medicine, nearly 70% of high school athletes with concussions continued to play despite their symptoms. 40% of players reported that their coaches didn't know about their injury. No game, no matter how passionate you are about it, is worth dying for. Yet, this is the very mentality of the young football players who are convinced they are impervious to injury. In a recent article in The Boston Globe, Stan Grossfeld asked 16 year-old junior, Mason Mohanen if he was willing to risk his life playing football. Shockingly, his answer was "Yes." This very mentality is not uncommon among football players and it's beyond scary and dangerous. While being perfectly healthy and young, they don't think a death could happen to them. Players can still love and play a sport while doing it safely. This is where the issue of safer playing comes in. Over 50% of football injuries result from tackling. It has been firmly established that helmets and mouthguards do not protect against concussions, therefore players need to use better tackling techniques. Many schools have started to adopt a "heads up" tackle strategy. A method borrowed from rugby to ensure that players are using their shoulders instead of their heads to drive the tackle, but despite safer alternatives, head play is still prevalent in high school football. "Everyone uses 'head play' to tackle," says Michael Edwards, a recently concussed Senior football player from Michigan. After the second concussion of the season and many doctors visits, he's ready to get back on the field. Parents, coaches and players absolutely must commit to safety. Without this commitment, the injuries and deaths will not stop. We can all do our part to keep our children safe. As parents, we can talk with our athletes to encourage them to feel empowered to report injury so that they can get better faster. Coaches should encourage players to report injury and to practice safer tackles. Booster Clubs and Sports Associations should set stricter guidelines for injury prevention and reporting and invest in educating their coaches to be able to better identify symptoms and report injuries. It takes a village to raise a child. It takes an entire sports community to protect that child. Together we can help drastically reduce the number of injuries and, most importantly, deaths. Death is final. There is no turning back, no doing it better next time. It's the point of no return. It's a life of a young man extinguished, his potential unfulfilled, his dreams turned to dust. One death is a tragedy. 6 is not a number we are willing to live with. Let's save our players, one life at a time. King-Devick Test - An physical method of measuring visual tracking and saccadic eye movement, key indicators of concussions. A great tool so coaches or trainers can use to more accurately asses a concussion. Heads Up tackles - Using a tackle method that removes the head from the game, you can significantly reduce the risk of injury. Mom's team - Mom's team is a great resource of safety tips, information and programs for parents, coaches and even players. University of Michigan - The UM health system partnered up with Mott Children’s Hospital Pediatric Trauma Program to bring coaches and parents an free online program where they can learn facts and strategy of concussion prevention.